Shayla Riley is a skillful, driven and dedicated Real Estate Sales Professional with extensive experience in sales, leasing, asset management, planning, marketing and branding functions for multi-million dollar real estate developments in the Columbia, South Carolina area, with a desired focus on New Construction Lease –Up and New Home Construction Sales. Her passion for attracting new residents to Columbia and welcoming them with open arms is indicative of her professionalism. She specializes and represents her clients well due to her very active and connected environment. Her contacts and lifelong residency leverage her energy and enthusiasm, enhancing her client dedication and insuring satisfied repeat clients and referrals. 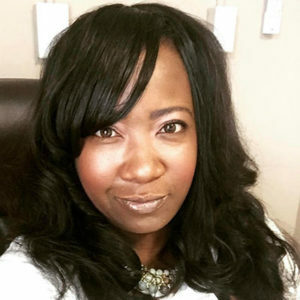 Shayla spearheaded the success of three downtown buildings and assisted with the conversion of historic buildings into multi-family housing communities geared toward young professionals and students. Presently, Shayla works for Eastwood Homes, a brand new builder in town. She is more than just a property manager or realtor as she pours her heart and soul into every aspect of the business industry. Shayla is known as the “wizard behind the curtains,” for many communities and developments because she is adept at leasing and selling at an amazing closing velocity and has helped developers reach permanent financing and maximum occupancy in record time. Her marketing strategies afford her the opportunity to showcase her homes on her website and utilize a team of professional service providers such as photographer, virtual tour providers and graphic designers to assist in marketing her clients. The way she markets and drives sales to her communities is truly unique and she builds each one with care. Developers approach her with opportunity after opportunity because they know she will make their projects a massive success before they even open their doors. Shayla Riley is the epitome of the caring professional. She welcomed HUNDREDS of families to the Columbia area during her 13 years in real estate and property management. Her clients feel great about their choice to make Columbia their home due to her knowledge and guidance. Notable communities are the Park in Woodcreek Farms, Coatbridge and Sterling Pond in Blythewood, The Land Bank Lofts and Pulaski Square to name a few. Shayla is a true professional who genuinely cares for all of her clients and a true cheerleader for Columbia!